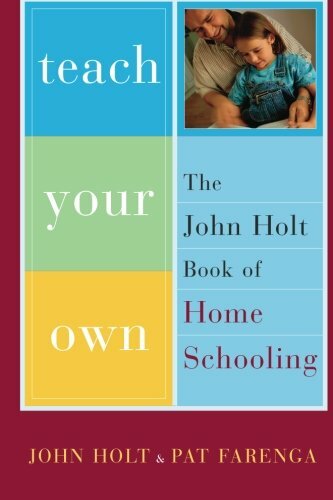 ...I have used the words "homeschooling" to describe the process by which children grow and learn in the world without going, or going very much, to schools, because those words are familiar and quickly understood. But in one very important sense they are misleading. What is most important and valuable about the home as a base for children's growth into the world is not that it is a better school than the schools but that it isn't a school at all. It is not an artificial place, set up to make "learning" happen and in which nothing except "learning" ever happens. It is a natural, organic, central, fundamental human institution, one might easily and rightly say the foundation of all other institutions. We can imagine and indeed we have had human societies without schools, without factories, without libraries, museums, hospitals, roads, legislatures, courts, or any of the institutions which seem so indispensable and permanent a part of modern life. We might someday even choose, or be obliged, to live once again without some or all of these. But we cannot even imagine a society without homes, even if these should be no more than tents, or mud huts, or holes in the ground. What I am trying to say, in short, is that our chief educational problem is not to find a way to make homes more like schools. If anything, it is to make schools less like schools. Common Objections to Homeschooling, Chapter 3 from Teach Your Own, is available to read for free here.